The U.S. Census Bureau has the estimated population of District of Columbia at over 572,059, which has more people than Wyoming, the least populous state but fewer people than Vermont, the 49th most populous state. However the District of Columbia is not small in terms of jobs, particular those in the field of computer forensics. Washington DC computer forensics is an important and growing field. 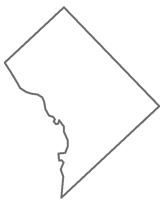 The District of Columbia (D.C.) is well known as the nation’s capital. It is no surprise that the main industry in Washington, D.C. is government. It also comes as no surprise that the growing field of computer forensics has a huge need in Washington, D.C. In fact, Washington, D.C. is one of the highest paying areas for this profession. Even with the continued growth in this field, there are still very few campus-based degrees offered in the field of computer forensics. Only one university in D.C. currently offers a ground based program. George Washington University offers a master’s in High Technology Crime Investigation. While there are not many choices for campus options, there is a wide variety of online options for earning a degree in computer forensics. Giving those interested the flexibility of learning from home and online is one reason why these institutions are so successful today. Far ahead of the curve, these online/distance learning schools are eagerly awaiting students. Across the country online colleges have degrees, certifications, and programs in computer forensics and computer system assurance. A lot of these schools also offer campus colleges across the country where labs and hands-on activities related to their area of study can be completed. Computer Forensics Rules, Regulations, & Certification in Washington D.C. When it comes to standard operating procedure in computer forensics, every state has its own laws and procedures. Currently, District of Columbia is operating with regards to the Federal Rules of Civil Procedure Amendments. The District of Columbia has currently stayed effect of the Federal Rules of Civil Procedure amendments, but is required by law to follow the Federal Rules of Civil Procedure*. As of 2006 estimates for the average annual salary in the District of Columbia (D.C.) was $61,500* according to the U.S. Department of Labor, while the average salary for a computer forensics examiner was $90,000**. Salaries in computer forensics are going to vary based on the type of work and the sector with which the examiner is involved. Most have found that in the private sector, computer forensics examiners might be capable of making a better income. However, working in the law enforcement agencies as an examiner in computer forensics could yield better benefits for retirement and health care coverage; though many times pay for computer forensic examiners could be significantly less.